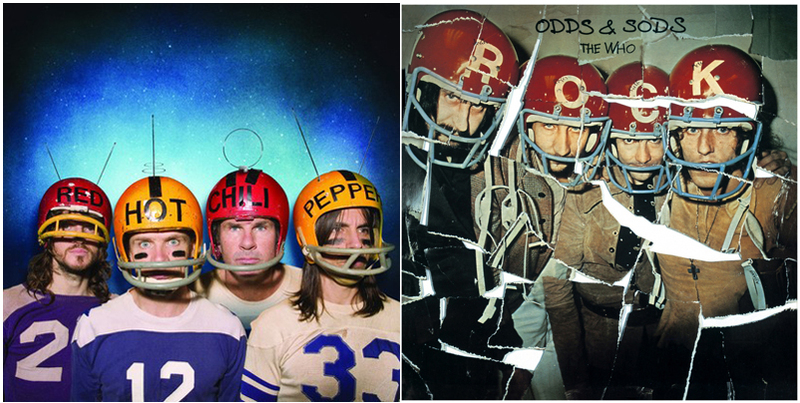 The Red Hot Chili Peppers once paid tribute to The Who’s “Odds & Sods” album by wearing football helmets for their 2006 “Stadium Arcadium” album photo. 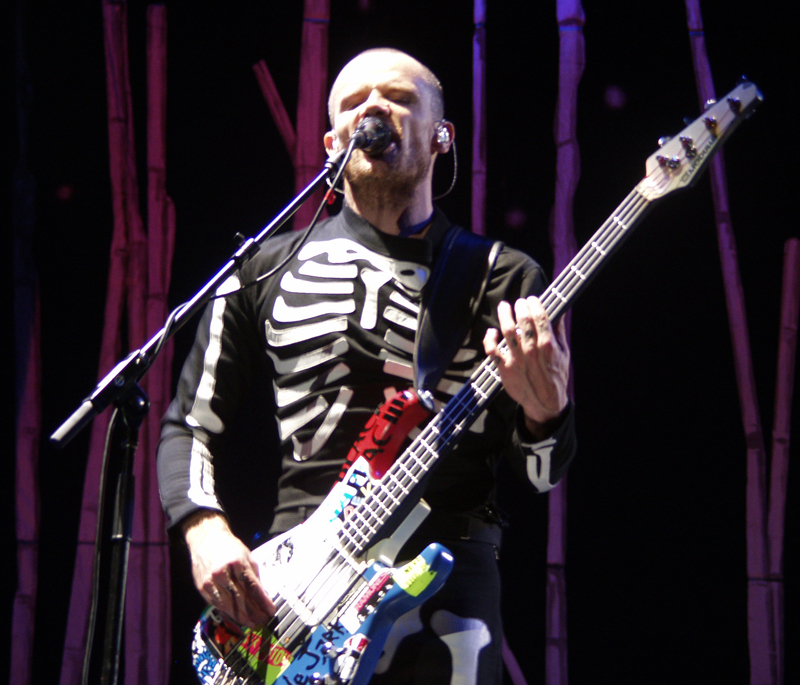 Flea also paid tribute to The Who’s bass player John Entwistle several years earlier by sporting a “Skeleton Suit” when the Chili Peppers played Slaine Castle in Ireland on August 23, 2003. Entwistle had died in a Las Vegas hotel room a year before on June 27, 2002. 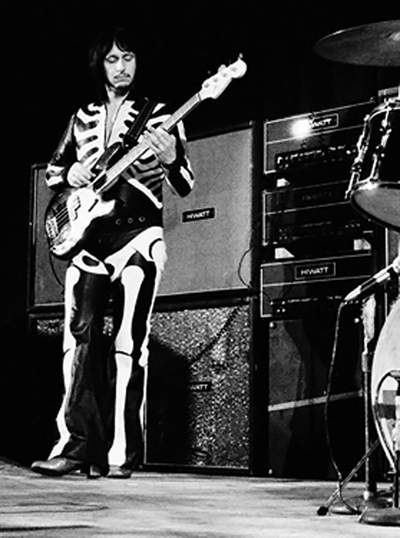 Entwistle famously wore the “Skeleton Suit” at many gigs during The Who’s 1970 tour. Most notably when The Who headlined the Isle of Wight Festival on August 29, 1970. Entwistle speaks about his famous “Skeleton Suit” in this interview. 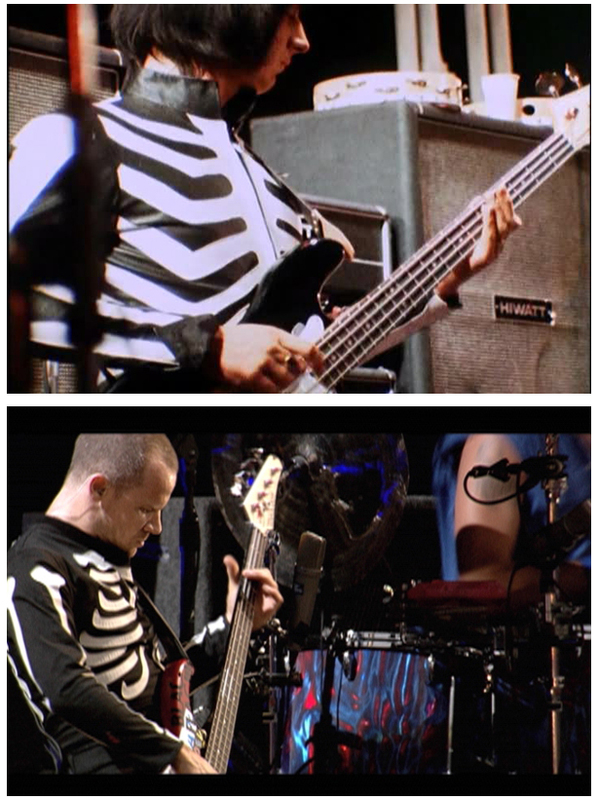 Here’s a cool photo we put together of Flea & Entwistle in almost the same position in their “Skeleton Suits”.